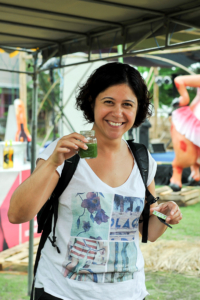 Bali Vegan Festival was established in 2015 by Down To Earth Bali to inspire new people to choose a more compassionate, ethical and healthier lifestyle through plant-based eating. 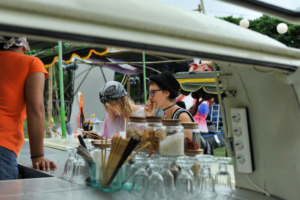 The festival includes awakening talks, community discussions, cooking classes, vegan products, and culinary wonders. 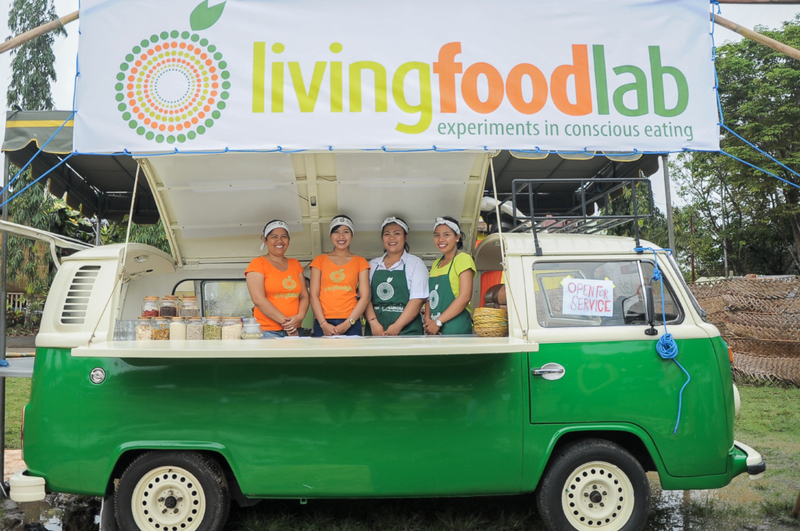 For Living Food Lab, this festival is an important platform to raise awareness about veganism. This positive movement takes the health of the planet, humans and other living beings in a better, happier and more sustainable direction. It’s also a great community event because most of the people who come to the festival are vegan or are thinking of becoming vegan. It’s a place where it’s safe and ok to talk about vegan food and a more ethical lifestyle, as well as to connect with like-minded people. This festival represents a gentle way of creating consciousness about the vegan movement as opposed to any extreme pushing of the message. Last year we participated for the first time, and had quite the experience with our vegan food truck. Although we were washed out by the rain in the muddy football field in Ubud, it was still a successful event. Hopefully this year, the weather will be sunnier. Rain or shine, our participation is guaranteed because it’s an important cause and we see it as a part of a larger global movement towards plant-based living and a kinder way of being. We completely embrace the positive message that Bali Vegan puts out throughout this festival. We are really thankful for Liat Solomon and her team for their amazing effort to make this happen, and are proud that we can be a part of it. We are thrilled that we can go there and say that we are 100% vegan. Furthermore, we use biodegradable products and excluded plastic, as part of the requirement for all vendors. 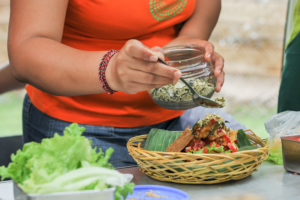 Bali Vegan Festival is an opportunity to show that it’s possible to organize a big event like this and keep the waste at a minimum or reduce it on a large scale. We also hope that through this festival, more people discover Living Food Lab’s mission to bring plant based food to schools and hospitals around the world. It’s a great place to make new connections with people who are global vegan activists. Many have businesses are doing something towards the vegan movement. Friendships can be born and collaborations can happen across countries. It just makes the message more powerful to be able to reach more people. Beautiful friendships were formed at the festival last year, and it was an honour to share insights and feelings about life and food with vegan influencers Kristina Carrillo-Bucaram and Frank Ferrante. This year, we will have our Living Food Lab booth at Oasis Canggu, from the 12th to the 14th October 2018 with many delicious surprises for you. On each day we will have 3 unique main courses. Day 1 we will serve up our famously addictive, best-selling Not-Tuna Sandwich, Tempeh Crumble Salad, and Pumpkin Soup. Day 2 promises the incredible Not-Tuna in a salad, as well as our Hummus Sandwich and Tomato Soup. On the last day you will be treated to the Mushroom Sandwich, Bali Salad and Cauliflower Soup. 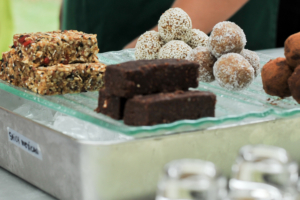 On all three days we will have an array of sweet snacks such as our brownies, peanut butter cookies, protein bars and energy balls. We will also be selling our in-house granolas that come in five different flavours and dehydrated chips made from a variety of veggies and spices. Bring your own containers for these if you can! This year we are delighted to also be bringing to you our coffee, fresh from Kintamani, and if you’ve got a moment, why not stop by to see our Rok Presso in action or snap up a cold brew coffee. We love telling you about our coffee expeditions so please do chat up one of our baristas to learn more about how you could also take the scenic ride up to Kintamani and meet with our farmer. The ever-popular jamu, sweet green juice, watermelon limeades and coconut water will also be available across all three days.